Google has again recruited from BBC staff as part of attempts to encourage online publishers to make more of the media giant’s news platform, this time hiring the broadcaster’s head of development and rights Madhav Chinnappa. According to a report by paidContent:UK, the position is likely to centre on improving relations between Google News and newspaper publishers as many continue to question the value of the site to them – as demonstrated in a debate at the Frontline Club last week, attended by another former BBC recruit Peter Barron, who previously edited Newsnight but now heads up Google’s communications and PR department. It’s a new post, and a sign Google is increasingly keen to dampen increasing scepticism, from some newspaper publishers, regarding its attitude to content, and instead come to amicable arrangements. This entry was posted in Online Journalism, Search and tagged BBC News, Frontline Club, Google News, online publishers, Search, SEO headlines on August 17, 2010 by Rachel Bartlett. Milijoenhuizen.nl, a Dutch network of user-edited news portals, has reportedly been successfully sued by car dealing firm Zwartepoorte for a Google-generated page summary (via 24Oranges blog). A judge ruled that the ‘snippet’, which occured in the results of a search for ‘Zwartepoorte’ and ‘bankrupt’, may or may not give the false impression that the car dealer has gone bankrupt. “To create the snippet, Google algorithms pulled both the ‘Zwartepoorte’ bit and the ‘bankrupt’ bit from the Miljoenhuizen.nl page. But they weren’t side-by-side on the page – as the ellipses indicate. That’s often how Google does things. If you Google two separate words, it shows you that each search result contains both of them,” explains the Register. The site has reportedly removed the page. Crucially, as the Register points out, the car dealer chose to sue the website not Google. (Interestingly now when you search for the same terms on Google blogs and news sites reporting the case appear in the results with the same snippet). It’s a worrying precedent for online publishers – are there ways to prevent Google from summarising pages in this form? This entry was posted in Editors' pick, Legal and tagged car dealer, car dealing, google, judge, milijoenhuizen.nl, news portal, online publishers, search result, the Register, user-edited news portals, Zwartepoorte on June 2, 2009 by Laura Oliver. In an attempt to ‘redefine’ the ‘often testy’ relationship between online publishers and search engines, Microsoft plans to work with European media owners to protect and profit from copyrighted material online, IHT reports. This entry was posted in Editors' pick and tagged iht.com, media owners, microsoft, Microsoft Corporation, online publishers, search engines on November 20, 2008 by Judith Townend. The software engineering company behind Sky News’ recent online revamp, Daylife, has launched a new product aimed at online news publishers. Sky used Daylife’s products to create topic pages of related multimedia content called ‘in depth’ pages. The new Daylife Enterprise API will similarly let publishers re-purpose blog posts, text, data and audio-visual content in new ways online. How does it do this? The service will collect this content and then create feeds which the publisher can put to use a variety of ways – as per their request. 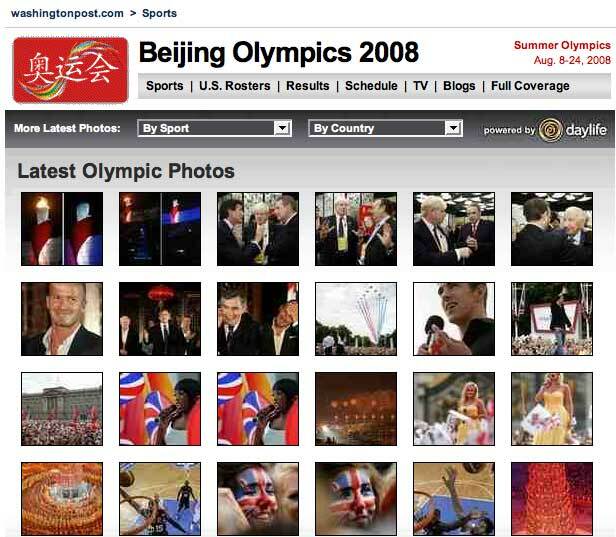 For example – the Enterprise API was trialled by the Washington Post to create picture galleries from the Beijing Olympics – searchable by sport and country – and to accompany its US presidential campaign coverage. Daylife took all the incoming photos from Post photographers around these subjects and made them available to the paper as an API, ready for use to create new pages on its website. Utilising existing content in this way can be a success in terms of web traffic – making sites a more attractive prospect for advertisers, says Daylife CEO Upendra Shardanand. As part of the product, publishers can make these content feeds open to the public and third-party developers – a feature which Shardanand hopes will lead to more collaboration on news content between publishers and users. “In terms of e-commerce and advertising there’s been so much innovation in the last 10 years online, in comparison there’s not been so much in news,” he told Journalism.co.uk. Publishers should not dismiss outsourcing this work, says Shardanand, after all it’s not their job and with the amount of content they have available would be extremely time consuming – the company has over 200 machines running to process the content. It’s not for free, but licences are decided on a customer-by-customer basis. Instead, he told us, the aim is to get the most value out of the content that publishers are already producing for both online and other editions – such as the photos taken by WaPo staff – by doing the backend work for them. Crucial to the success of the project will be the say that publishers have over what is done with their content – something which Shardanand is keenly aware of. 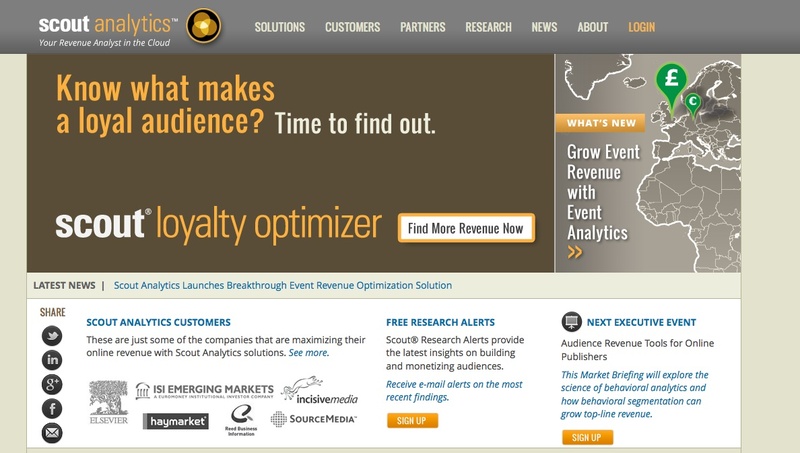 “These have to be content portals that are still customised and match your brand and voice,” he says. This entry was posted in Multimedia and tagged API, CEO, Daylife, e - commerce, Journalism.co.uk, Olympics, online and other editions, online news publishers, online publishers, Sky News, software engineering, the Beijing Olympics, The Washington Post, United States, Upendra Shardanand, Washington Post, web traffic on October 14, 2008 by Laura Oliver. Google’s recently launched online encyclopedia Knol is causing concern among other online publishers, who fear the company’s business as a search engine could come into conflict with its new ‘content publishing’ venture. Google maintains that it is not creating content – posts to Knol are signed and edited by individual users – but acting as a ‘conduit’ on the web. 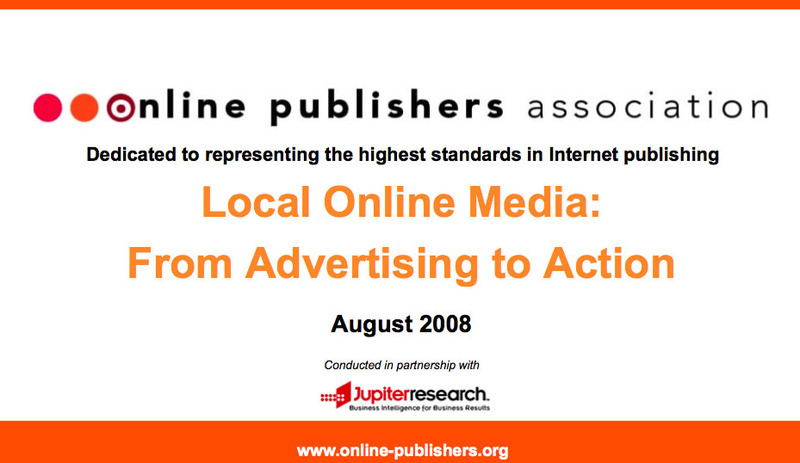 This entry was posted in Editors' pick, Online Journalism, Search and tagged content publishers, google, Knol, online encyclopedia, online publishers, search engine on August 13, 2008 by Laura Oliver.